Denver’s Colfax Avenue is one of America’s great urban streets, as important to understanding the Modern West as the Monument Valley of John Ford’s westerns is to the Old West. Running east to west through the metropolitan area, from the end of the Great Plains to the beginning of the Rocky Mountains, it has been home to all the different kinds of service-oriented businesses that people looking for a new start want. Including booze and prostitution. Neal Cassady certainly spent time here; Jack Kerouac mentions driving it in On the Road. Many of its old bars, diners, cafes, restaurants and motels are still there and going strong, others are in ruins, others just memories, and there are new, trendy ones now, too, as young people move to Denver. So Colfax history, past and present, is a compendium of evocative names: Pig ‘N Whistle, Bugs Bunny Motel (now Big Bunny), Davies Chuck Wagon Diner, Pete’s Satire Lounge, Atomic Cowboy, Bastien’s and more. And in recent decades, Colfax has become one of Denver’s centers for live music at places like the Ogden and Bluebird theaters and the funky, cramped, retro Lion’s Liar Lounge. The latter is specifically mentioned in the song “Colfax,” from the album of the same name, by the Delines. This is a new country-rock/Americana band from Portland, but one made up of familiar names. Lead singer Amy Boone is from The Damnations (TX), songwriter/guitarist Willy Vlautin is in Richmond Fontaine, and other members – percussionist Sean Oldham, bassist Freddie Trujillo, keyboardist Jenny Conlee-Drizos and pedal-steel player Tucker Jackson – come from Richmond Fontaine, Decemberists and The Minus 5. So this may be a side project or a one-off, except in many ways the sum exceeds the (very distinguished) parts in terms of emotional effect. “Colfax” is a key example. It’s a wonderfully atmospheric song, a country-rock lament worthy of a Gram Parsons/Emmylou Harris collaboration in terms of its beauty and sadness. Boone’s voice is a treasure here: Clear and precise, gentle and dreamy when holding notes but slightly breathy with fear and regret when letting go. She has some of the mysterious subtlety of Patsy Cline on “She’s Got You” and of the trancelike introspection of Lucinda Williams. She sings of people with limited options without ever sounding tarnished, herself. Instantly you’re worried about the brother, but also about her, too. She is not a dispassionate observer with nothing at stake, nor is it a tale from a judgmental narrator. She’s as much subject as is her brother. The song elicits our concern for both. They are vulnerable; their lives are struggling. But we sense the love. The production on Colfax by Vlautin, Oldham and John Askew puts Boone’s voice out front without pushing her to showboat. And the producers eschew that sometimes-wan sonic slacker-ness of too many post-Uncle Tupelo Americana groups. Almost all the songs have a loping and deliberative slow-burning pacing, but with enough variation in melody and Boone’s intonation to avoid monotony. Really, the song with the fastest tempo – the moderately swinging “Wichita Ain’t So Far Away” – is the least memorable musically. 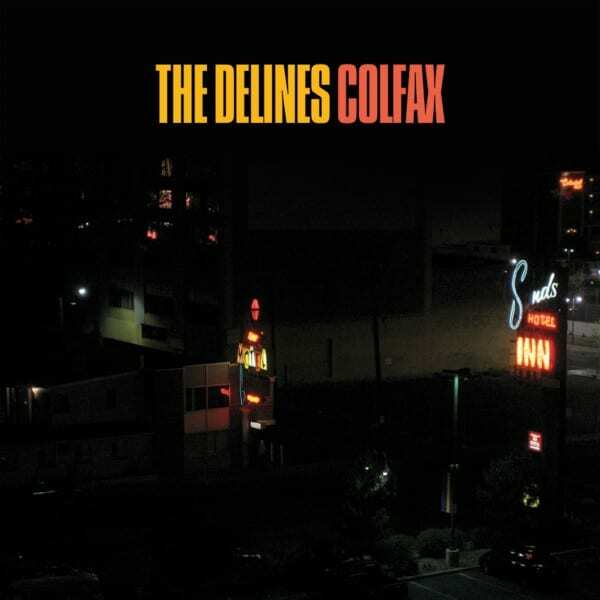 It’s both praise and a simple statement of fact to say the songwriting on Colfax is literary. Vlautin, who composed 10 of the 11 tracks (there’s also a cover of Randy Newman’s darkly melancholy lullaby “Sandman’s Coming”), is the author of four novels. His lyrics here are concise and leanly, concretely descriptive. Never florid, never clichéd. He’s able to conjure intimate peeks into authentic American life – often one challenged by disillusion and weariness – without resorting to telling you what you should feel. He trusts Boone’s voice to guide your empathy. These are tales of working-class people, but without the vacuous braggadocio of so much commercial country. Both set their tales of fading love amid the grimy imagery of American industry. But Ellis labors hard – and successfully – to make his song poetically metaphoric about mortality. Vlautin just uses his “lights” as a vivid setting for his desperate character. This isn’t a criticism of Ellis, but Vlautin’s sense of confidence in his prose (and his lyrics are like prose) is masterful. And he does it repeatedly on Colfax on songs like “Calling In,” “State Line,” “I Won’t Slip Up,” “I Got My Shadows” and more. One hopes the Delines, with Boone serving as an inspiring muse for Vlautin, continue on this path.